A bit of humour is always good. 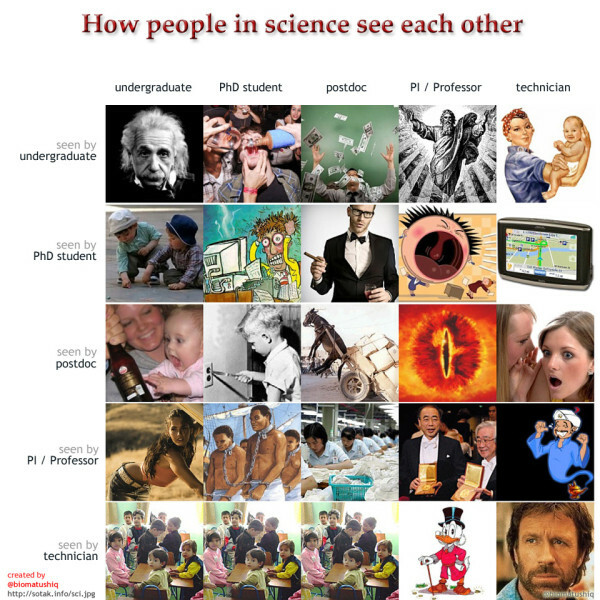 Recently in Twitter I discovered this picture with the views of the different people working in science about each other. It's great. I hope you like it as much as I do. You can see the original picture done by Matus Sotak here.